Just what we needed to light a dark garage drive, and with no on going costs. Good amount of light, but not overly so. Easy to fit and worked the first evening. Top Class product for those areas that can't be lit by main power. Very good illumination. These lights are great value for money. Not the brightest light ever, but provide enough for good visability. Already have a couple of EvoSMDs, but grabbed one of these on offer. The actual light head is nice and thin which looks really smart and makes it perfect for a tight spot. Lovely warm colour temp and nice and bright too. No adjustments on the sensor but the fixed settings seem very similar to the recommended settings on the EvoSMD and work perfectly which means less to go wrong and no dials for water to get in around. Would recommend. 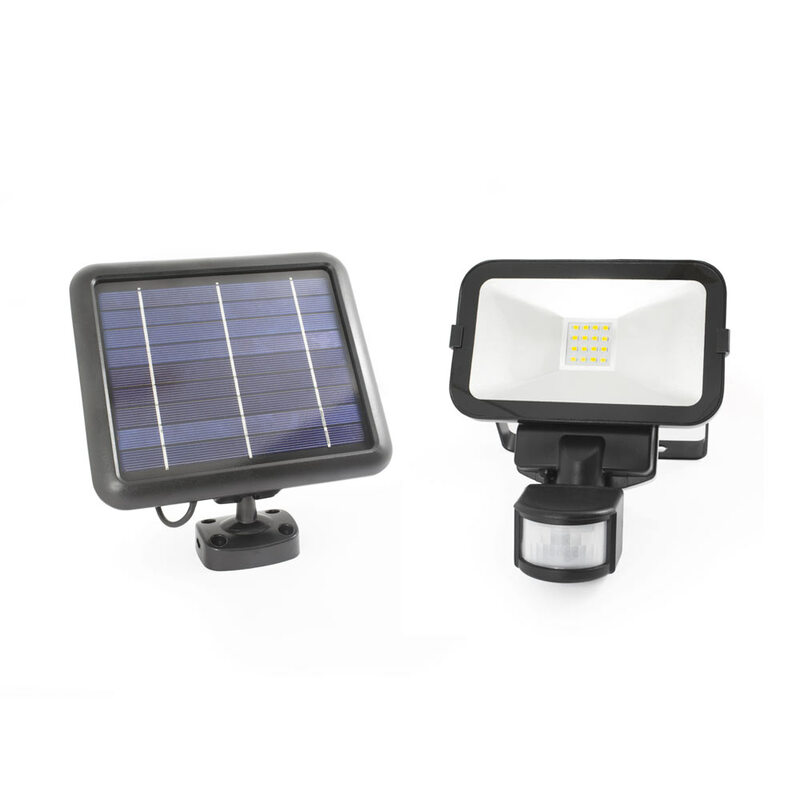 The Guardian Solar Security Light offers mains equivalent brightness from a highly compact ultra-thin unit that offers truly exceptional waterproofing. 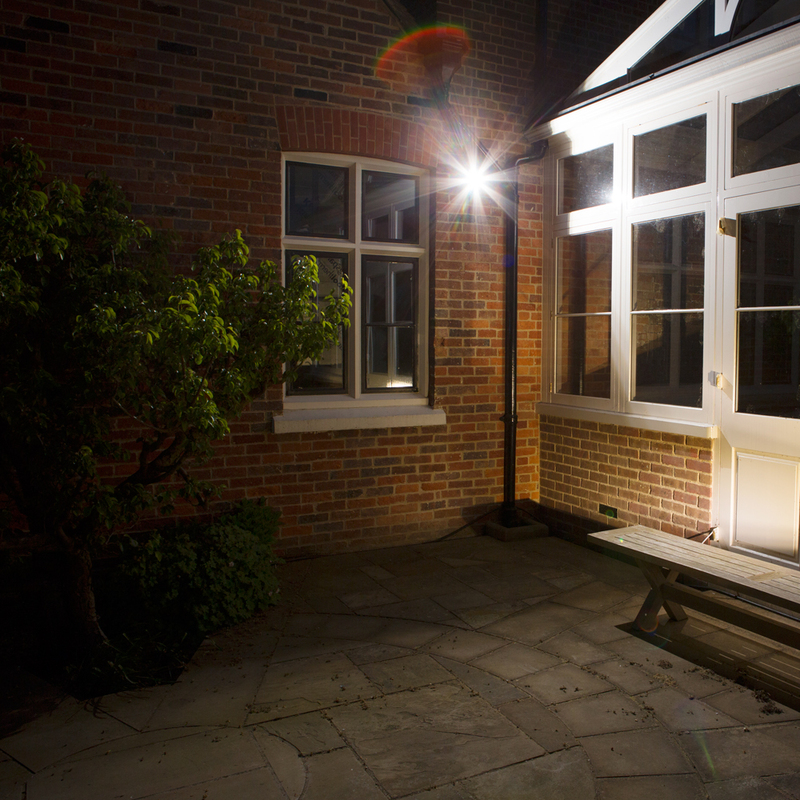 This sleek security light produces a bright warm white light similar to the colour temperature used by traditional mains powered halogen security lights. The Guardian comes preset for optimal performance which eliminates the need for adjustment dials on the motion sensor which are often a weak point for water ingress. The sensitivity has been set at a range of up to 10m and the light will illuminate for 30 seconds each time motion is detected. During the day the Guardian's solar panel charges its internal battery giving it the power it needs to light after dark. After dark the light will activate as soon as it detects motion. At dawn the Guardian stops activating and starts charging again ready for the night ahead. The Guardian comes with a 1 year guarantee. The light and size of the panel are optimised to work all year round in the UK. Is it available in White. Can you adjust the time on /off and daylight sensor.